When questioned on the support that Turkey and France once lent to the jihadists in Syria, the Turkish President accused the France2 journalist who had interrogated him of speaking like a terrorist who had gobbled up , the preachings of Fethullah Gullen. The French President for his part refused to comment on his predecessors’ policies. Benjamin Grivaux used to work with Dominique Strauss-Kahn. Now, he is very close to Emmanuel Macron and participated throughout the Macron electoral campaign. Ben’s wife, a lawyer, drafted the legal part of Macron’s programme when he was standing as a presidential candidate. Not long after, the same journalist, Jean-Jacques Bourdin interviewed in Paris Khaled Issa, a representative of the “Rojava”. The latter confirmed that his “government” is ready to try jihadists who are French nationals. At the end of a sentence, he let the cat out of the bag, announcing that the final decision autpunireautdedere, would be taken not by France but by a global court for all jihadists whatever their nationality. 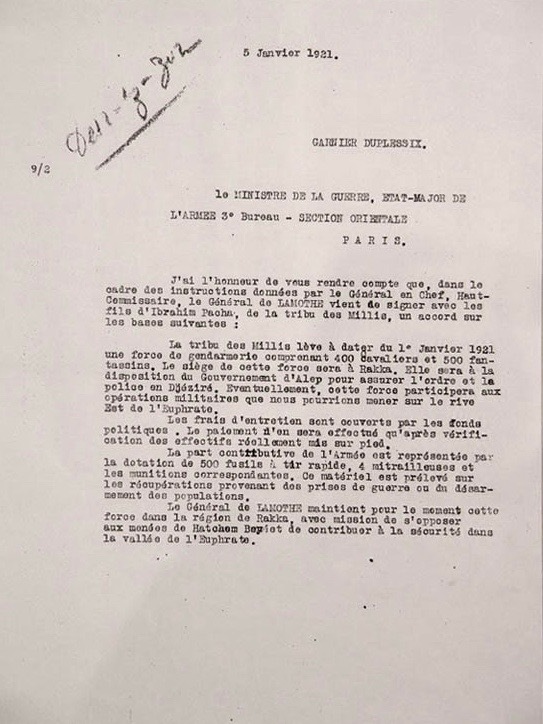 The following day, on 5 January, the same Jean-Jacques Bourdin, interviewed the Minister of Justice, Nicole Belloubet. She declares: “there is no state out there that we recognize, but there are some local authorities, and we can accept that they can proceed with judicial proceedings”. -> the bilateral treaty between Syria and France which recognizes the jurisdiction of the Syrian Arab Republic as the only legitimate one on Syrian territory. -> the European Convention on Human Rights and Safeguarding Fundamental Liberties. -> Art 7 of the Declaration of the Rights of Man and of the Citizen of 1789, located in the preamble of the French Constitution, requires that those who request, expedite or enforce or have enforced arbitrary orders must be punished. Art 68 places criminal responsibility on the members of the government and the President of the Republic for any “failure to execute their duties which is clearly incompatible with the exercise of its mandate”. The “Rojava” was then placed in the hands of the PYD. This was a Kurdish party that was formerly of pro-Soviet Marxist-Lenin ideology but made a sudden turn and switched to being anarchist and pro-US . Despite the claims of its communicators, it retains a highly structured hierarchy, a totalitarian cult of its founder and an iron will. The best one can say is that there is parity in the positions of responsibility. They are occupied simultaneously by a man and a woman. This new organization is applied also to the general staff whereas the women are rare in this militia; in any event, rarer than in the mixed armies of the region, Tsahal and the Syrian Arab Army. 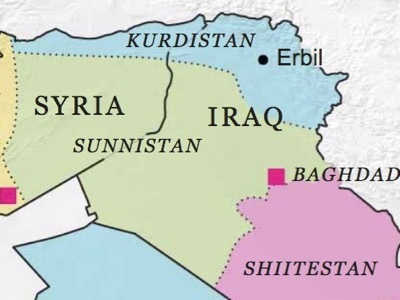 In 2011 Ankara was proactively pursuing its desire to create pseudo Kurd state in the North of Syria. It is now opposed to it if the new entity is sponsored by the United States (which has tried to assassinate President Erdogan three times and funded a Kurdish party to make him lose his majority in Parliament). 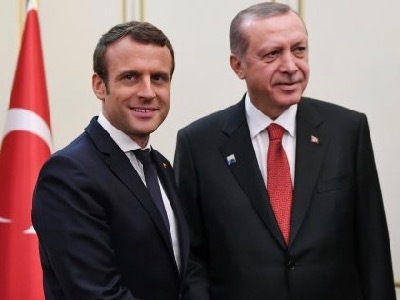 During this joint press conference with President Macron, Recep Tayyip Erdogan had indicated its red line: to rule out any possibility for the PKK — that France is also qualifying as a “terrorist organization” — creating a corridor permitting it to import arms from the Mediterranean towards Anatolia in the South East. From there, the issues are limited to ensuring that the conflicts between the PKK and the “Rojava” provoke a clean break and that the new state does not have access to the Mediterranean as had been forecast in the initial plan. “Kurdistan – what the referendum is hiding”, by Thierry Meyssan, Translation Pete Kimberley, Al-Watan (Syria), Voltaire Network, 26 September 2017.